Alton was very helpful.. Got more than I expected.. If u need a payday loan I suggest u come here. Fast courteous and helpful..
Today I went to payday on Yonge street and Alton, Ray, and Adelina provided me great service. Paid my loan no hassle and they answered all my questions without any issues. Tbh at other branches haven’t done the same with me but her they did thanks guys! If you need cash, come to this place, no hassle. The best payday loan I've been to. I will definitely recommend this place. Excellent customer service Mimi, keep up the good work! I like to give them 5 star since borrowing money is so easy with them.their interest rate is pretty to good compare to other competitors. Grate customer service. I also like to mention about the great service provided by adelina, a ton and mini. Thanks guys. Had a great experience! After the online system faltered, Adelina and Alton were able to help me out in-store. Such a relief! Great service and very friendly staff! The customer service here is great! Adelina really helped us out. So far I think PAY2DAY is the best place to get a loan if you need it! Adelina is a very nice person, very professional. She has really nice hair too. I would recommend this company to anybody. Pay2day has the best customer service ever. Everyone is well mannered and understanding. I have no problem when dealing with transactions with them and I would definitely recommend anyone who needs their financial affairs sorted. Great job guys!!! Michelle and Mimi were wonderful. Michelle processed my application very efficiently! Much appreciated! Alton was great help when I went to the branch on 622 Yonge st . He was efficient and explained everything to me perfectlyperfectly. I would recommend everyone try pay2day today. Great service !! Couldn’t ask for better service. All staff are extremely friendly, professional, and understanding. Special thanks to Adelina and Mimi for always making my visit so welcoming. 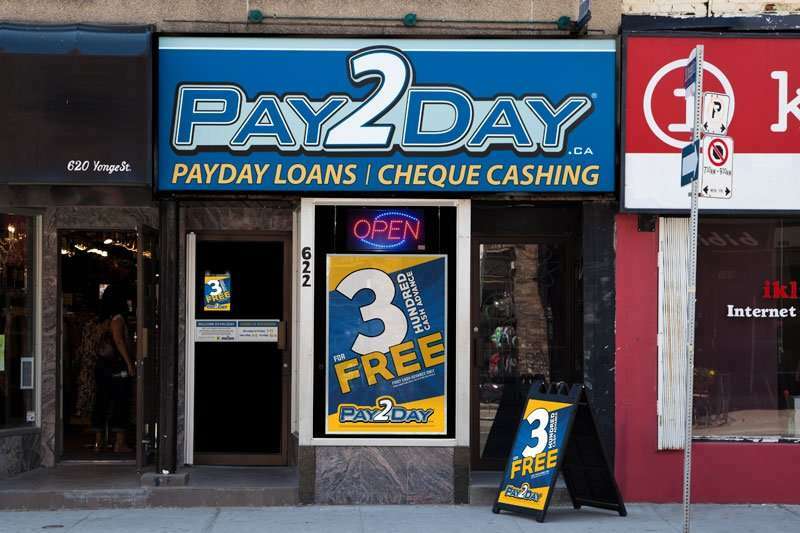 If you need a payday loan and or cheque’s cashed, then this is the place to go. Nice and friendly staff. Prompt and understanding. The best place who can help you in times of need! No body can be better than them for sure! I will keep coming here if I need cash! Despite this location being relatively small and narrow, Adelina and her colleagues are all very efficient and courteous. Their payday loan services are quick and don’t involve a myriad of gruelling paperwork. Always a pleasure! Received cheque cashing service from Adelina when my bank was closed and I needed access to the cash QUICKLY. Emergencies happen to everyone. She was incredibly helpful and knowledgeable. I would highly recommend using this place over Money Mart / Cash4U. I decided to go to this location because of the great reviews and customer experiences. I called first and spoke to Michelle who was very professional. Michelle exceeded my expectations! We laughed and talking while processing my application. So friendly!!!! Thank you for helping in my time of need and Michelle thank you the ear and high level of professionalism. This location has always been amazing, quick and courteous service, great staff and very professional. Would highly recommend coming here for quick money needs. Thank you for all your help!! There are not enough words to express my gratitude to Michelle, Mimi, Ray, Adelina and Alton for their exemplary client experience. Always fast and efficient service and they put you at ease with any questions you may have. I always feel important and they never let me leave without a smile. Highly recommend. I haven't gone back here for at least 3 years, until 2 weeks ago, but it's amazing to know, how one of the staff remembered me. The staff working are very positively welcoming, polite and always smiling. Excellent customer service, and very helpful..I feel very at ease and relaxed being treated as a customer esp after a very, very intense work week. Hope to see more happy faces when I come back. Keep it up, ladies.. Mimi, Adelina and Michelle. Great location, been cashing checks for over a year. Ray has been more than helpful. Will definitely recommend this spot to anyone looking to cash their checks here. The customer service at this Pay2Day location are absolutely fantastic. Always the most friendly, welcoming and eager to help in whatever way they can! I would recommend this location every time for your last minute needs! Team Mimi and Adelaina, Alton has always provided a great service. They always ensure they inform you of your options as well as looking at opportunities to improve your credit or ensuing you send funds to your family abroad. Ray and Mimi were amazing at the Yonge st location. Very friendly and fast service. They were great at answering all my question and process was very straight forward. Great experience overall! Ray was the sales agent I had to deal with and he made this such a pleasant and honest experience. Definitely recommend PAY2DAY to anyone who is on a semi-monthly payroll like myself and is need of cash before the payroll date. Amazing customer service, ray was very professional and great guy to have a conversation with. the whole processes went smoothly and fast. Highly recommend this place. 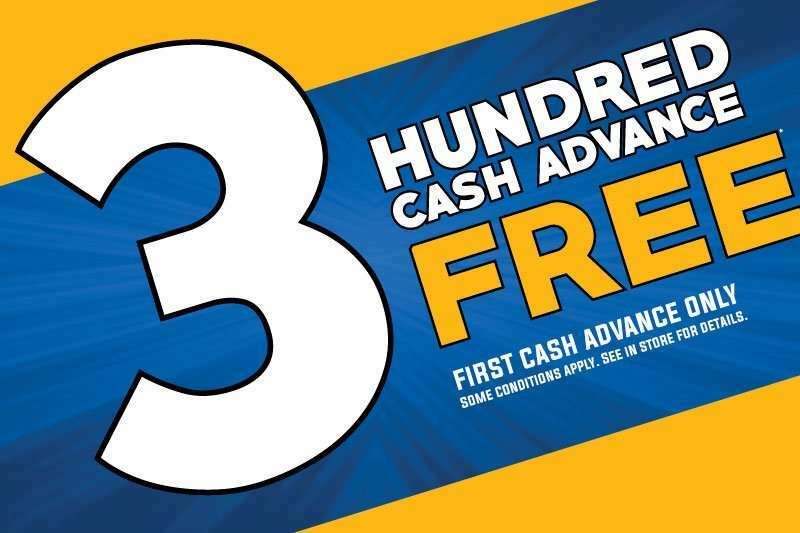 I took advantage of Pay2Day's "3 for Free" first payday loan. It was a fairly simple process. I brought along a paystub and logged into one of their computers to print my bank account/direct deposit info. All in all, in and out in less than 15mins. Staff was friendly and professional. On the day of my next pay I returned with cash and paid back only the principle I had borrowed, no interest. I was sure to collect my receipt! And that is my experiences with Pay2Day. It helped me short-term during a brief period of difficulty and cost me nothing. This is one of the best experiences I’ve had at a payday loan place. The two employees Adelina and Michelle were very friendly, provided me with the best customer service and important information I needed to understand and absolutely zero hassle to assist me in my inquiries. Very simple and straight forward. Also Adelina did something no other place has done for me when I loan money from them, she gave me an extra two weeks to pay my loan since I came two days before my payday, so now I’ll have even more time to pay my loan while I financially recover this week. Very understanding people. 5 stars all the way! Wonderful experience! Excellent staff. Ray & Mimi were great. I called in the morning as I had a few questions, and they were very helpful, and extremely professional. Ray even remembered my name when I came in. Highly recommended. They will set you up, and you will be on your way within minutes! Give them a try! Very quick payday loan, fantastic customer service and very positive staff. If considering absolutely go here. I came in today because i needed help and what amazed at customer service. Ray and Michelle were a great help. If you ever need assistance, this place is definitely down to help. The clerk Mimi is very friendly and approachable ...very good asset of the company. .she made me feel at home and givesindtructions very clearly. Very polite professional service. Speeding got me on my way in no time. No Hassel. Mimi was very polite and answered all questions I may have had. I was very happy and satisfied with the service I got from Michelle. She was so very friendly from the moment I walked in also very knowledgeable about her job. I appreciate the service she offered and she is truly the best at customer service. 10 stars to Michelle, the best. Excellent customer service all around! Michelle is amazing and goes above and beyond to help her customers. "Sloth queen" reviewer on here must be difficult in general if she is complaining about the staff at this location, couldn't be more wrong if she tried! Keep up the amazing work guys. Store 7, Adelina is very helpful and understanding. She’s very soft to the costumers and so the other staffs who works there too! I’m so glad that I found this store! thank you so very much. One of the best customer service I came across. Mr Ray helped me with all my query. Best place to go in. completely satisfied with service. Extremely fast and friendly service! They try their hardest to accommodate your needs to the fullest. 10/10 service would come back again and again! awesome customer service! will always come here for loans and check cashing! I`d been using their service for how many months now and it is just excellent. the willingness to help and make you feel at ease is great. I highly recommend them and try their service I know there are a lot of other payday loans out there but this store a lone is great enough. Very friendly service and a nice welcoming atmosphere. Definitely worth checking out when you need an extra hand. The staff are very friendly, outgoing and always cheery. Exceptional customer relations. They make you feel like a friend or family. I do business with them frequently and would recommend this place above every other place. Excellent customer service!! The staff is willing to go the extra mile for you!! Highly recommend!!! The staff here is very friendly and courteous. I've never had a bad experience with them and highly recommend them as your payday loan go to! I have to say, Michelle, is the best part about coming in here. She is always friendly, and courteous. Besides that, I find your staff to always be very quick. Thank you for the great work. I've used other payday loan/cashing places before and felt like a number. Pay2day make me feel welcome and happy. Highly recommended for friendly, fun, welcoming service.